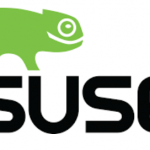 SUSE announced that SUSE Linux Enterprise Server for SAP Applications will be available as an operating system for SAP® solutions on the IBM Cloud. In addition, IBM Cloud is now a SUSE Cloud Service Provider, giving customers a supported open source platform that makes them more agile and reduces operating costs as they only pay for what they use. SUSE Linux Enterprise Server for SAP Applications on the IBM Cloud will enable customers to quickly build, deliver and deploy business-critical workloads in SAP NetWeaver® and SAP HANA® in the cloud. In addition, customers can integrate their SAP applications running on SUSE Linux Enterprise across different hardware platforms, including IBM Power, into a hybrid or private cloud deployment. Customers will benefit from IBM’s global network of nearly 60 cloud data centers across six continents as well as access to the rich IBM Cloud catalog of services including AI, data and analytics, IoT, serverless and more.